SSG Grand Prix Bling Aquasuede® Palm Riding Glove. 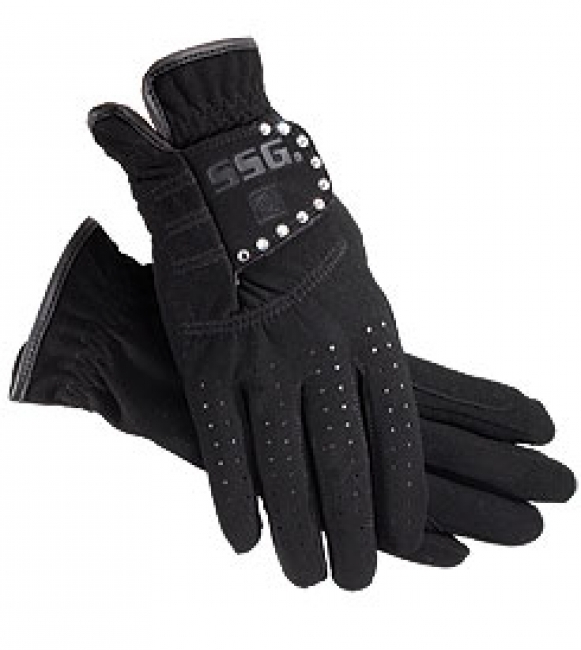 SSG Bling riding glove is classically all event show glove. SSG’s latest stylish riding glove. The SSG 2000 Bling is the familiar and popular 2000 Grand Prix made of breathable aquasuede plus®, tastefully enhanced with Swarovski® Austrian crystals. Great feel, great fit, classically elegant, flashy and fun!